The kerf space is just a parameter in Optinest and can be set to any value as necessary. Polyboard will output the machine files and bar codes for each machined face. All the machine operations can be selected and set up separately so it’s easy to choose which operations will be executed or not. It’s also simple to select the files that you want nested and the files you want to send to the saw. Each label can be set up with the data you want. So the same referrence or serial number will appear on labels printed from Polyboard and Optinest . In fact Optinest will print the labels in the nested order so there is no problem for sorting parts and finding the correct labes it’s all automatic. As I’ve said labels can be set up as necessary so you can print with brand name, project names, parts names and anything you want, whether it be data from Polyboard of data you add manually. We are hoping to finish all the machining in the nesting itself and with your hardware we wish to achieve it. However in the event of a few panels needing it we might need the machining files barcode to be printed in it. I hope that the parts labels with the bar-code printed are the only ones need the edge drilling and the file have the info of only edge drilling and not the top drilling. We intend to separate the parts with machining and without machining in the initial stage and allow the parts with machining to be processed in the CNC and the ones without machining to be processed in a panel saw. How do you think we can achieve that. Is there a serial no in the labels and a reference in the nested file so that we can relate and put the right label in the right part. I have created the nested output from your project using the templates that one of our main suppliers use everyday on their Beisse nesting machine. These files have been set up in collaboration with Biesse France and are configured for his specific machine so they will not necessarily work as they are for your machine. – the CIX machine files per part. these can be used for edge drilling or direct input into Bnest. – the labels with bar codes for machine part by part which include the edge drilling. Please note that all these different files are only example files, they are not yet set up specifically for your machine and work flow. This will have to be done when you have your machine and we can see the exact configuration. In all events, I would strongly suggest that you do most machining in the nesting and try avoid edge drilling if possible. Our new hardware should be available in October and will allow you to use minifix without edge drilling. We have many clients with using the Biesse machine and Optinest. In this way the labels can be printed in the correct order with all the bar codes for referencing the machining files. However, I’m actually away from the office for the next few days. I’ll send you some example files as soon as I get back, probably next Monday. We have finalized on the CNC Machine and decided to go for Biesse Rover S nesting solution. It comes with the B Nest software to optimize the panels. However if I have to use optinest i need to see how it works. I tried to download the demo version but it is not giving the labels. Can I please have a set of demo labels and your guide to how to fix it as soon as the panel is out of the Machine. (The machine we are purchasing comes with automatic unloading of panels). As we will be printing the labels offline. The label should have a barcode for the edge drilling cid file too. Biesse needs the Nested output in CID file format as the DXF file you shared is just the picture representation without any machining details. No problem to include you in Beta testing of our new hardware accessory. We are setting up the first protypes so Beta testing will probably begin in October. You can use tongue and groove but this means having to glue-assemble cabinets before delivery. Gluing can be messy and time consuming and can make transport and delivery much more complicated. This can be OK for small kitchen units but the bigger units as well as projects like, closets, wardrobes, etc its necessary to glue and clamp on site, which although it can be done, but I would strongly advise against if possible. Sheet materials used for nested manufacturing will depend on 2 parameters, finished required and price. easy to find matching edge banding. Plywood is much stronger but much more expensive. It’s other disadvantages are that you can’t simply shape edging and it needs to be finished, veneered, painted or varnished etc. A good material for high end solid wood is 3 ply. In france we have clients that offer very high end products made exclusively in varnished 3 ply. It’s a very tough material and has the super advantage of being real solid wood. It can also be edge moulded and painted. We’re totally interested in the hardware accessory you are developing for minifix without edge drilling and would like to included in beta. Meanwhile do you to using groove and tongue will be good way to manufacture kitchen and wardrobe cabinets ?? would that be strong and easy to produce and assemble? 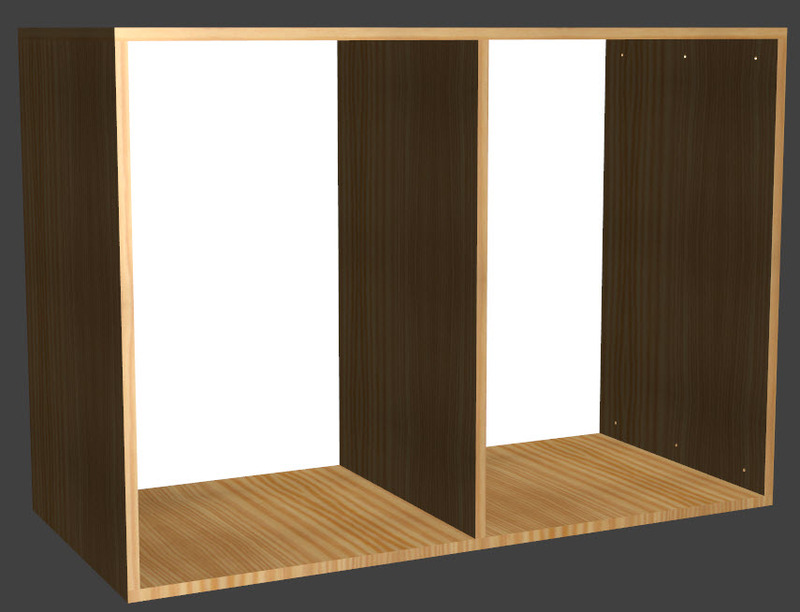 We use Plywood, MDF and Particle board. Also suggest the best material apart from solid wood panels. No problem we’ll send you some samples when we get our first batched manufactured. This is why we are actually testing an accessory that we developed that will enable you to machine from the face of a panel to insert a standard minifix and dowel or a special self locking dowel. In both cases the joint will be as strong as the minifix dowel, flush to the panel and the only a 6mm hole will be visible on the panel surface. Actually under development and test we are hoping to get the first test samples ready for September or October. If your interested we could send you a an example when ready. Sounds as if the CNC is using Bsolid rather than Biesse Works that needs CID files. For Bsolid we can use DXF or CIX. We have many clients using these machines and there is no problem with compatability. We also have many others that are not Partner Suppliers. However, in both cases it is necesary to set up the Polyboard post processor with the right tools, etc. I attach a compressed file with some example cix and dxf set up for Biesse. The DXF layer names are set up for auto tooling in Bsolid or Biesse Works. However, as stated the tool numbers/names and other parameters are not yet set up. The DXF folder also contains the parts nested onto a sheet, this file comes directly from Optinest. Our 2 Partner Suppliers are using Optinest with Polyboard and automatically inputting the Optinest DXF files into the Biesse machine. > Find below the conversation with Biesse regarding using optinest files in their nesting CNC. > We have checked in our software but our software is not able to understand the layers details of the files you sent. > Anyone of the above two formats are needed to run the nesting, so please send the file in .cix or .bpp format so that we will try in Biesse works software. People say that VB 36 Connection is not strong as the dowel and mini fix connection. Is it true and what other fitting can be better for Nesting production. One question that comes to mind however is why are you nesting and then edge drilling? With nested production you can generally save lots of time by doing away with edge drilling altogether ? Most of our clients use VB36 or Rafix connectors that don’t require edge drilling. In India many clients feel they need edge banding even in the sides hidden while assembly. White using VB 36 we cannot edge band that edge. That is why. 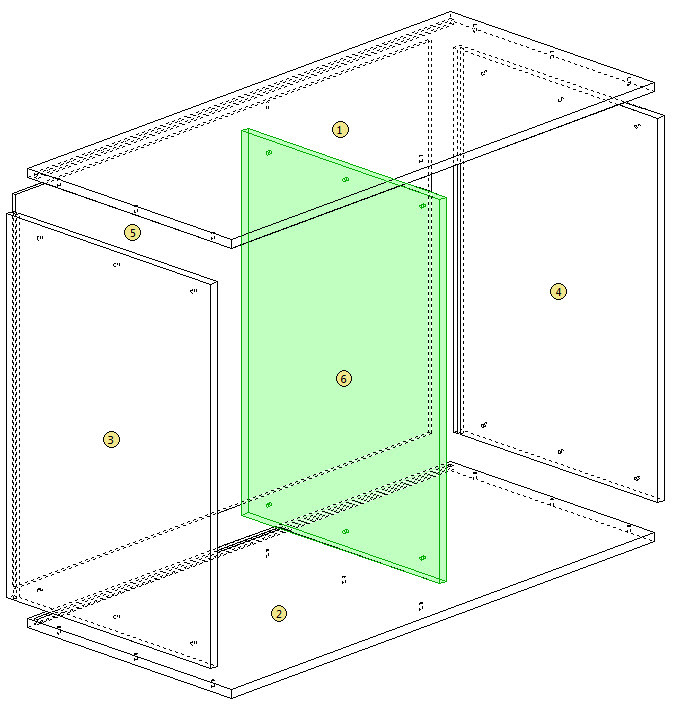 Polyboard will output CIX for Bsolid or Bnest. You will then have to set up Bsolid or Bnest to filter the different tooling sequences. Happy to hear that the files worked ok. There will be no problem setting up Polyboard to work with the Biesse CNC. You can either use the same files for nesting and edge machining or we can set up 2 different post processeur configurations as necessary. The best organisation will depend on the nesting software you use. You can use Bnest the Biesse software or Optinest. We have many clients using Biesse with Optinest and it works very well as i also prints the right labels and managers stock and offcuts..
What ever the solution you are going for Polyboard will work fine. The files are OK except for the setting up of some tools program as you said. Meanwhile we are considering to buy Nesting based automatic production using Biesse Rover S with horizontal drilling option. So in the first pass the cnc will have to do all vertical drilling and cutting and in second pass after edge banding we’ll have to do the horizontal drilling. Nice to here that you are happy with Polyboard. I attach the Homag (MPR) files and the Biesse (CID) files for simple cabinet . 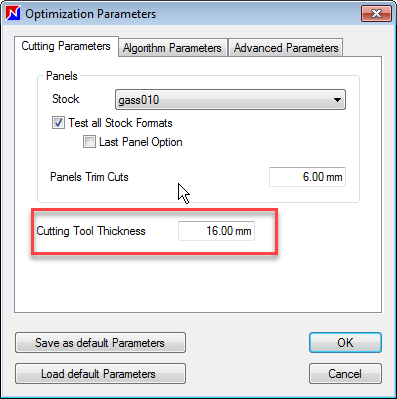 Note that although you should be able to load these files into the machine CAD/CAM interface WoodWop or Biesseworks or Bsolid, they will not load automatically the tool paths until the tool numbers have been configured. As well as this, real machining will probably also require setting up other parameters like rotation speed, avance, tool overlaps etc. in the Polyboard post processor and on your machine’s CAM software.